Gold brings a wealth of signal processing power to your studio, geared toward tracking, mixing, and mastering. 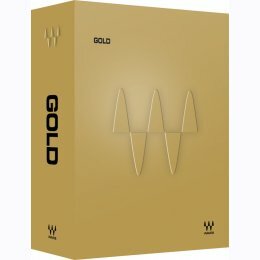 The industry’s most popular plugin bundle, Gold brings a wealth of mixing and mastering power to your studio, including many of Waves most sought-after plugins such as the legendary L1 Ultramaximizer, C4 Multiband Compressor, H-Comp, and H-Delay, as well as key newer additions such as Vitamin Sonic Enhancer. With compression, EQ, reverb, and more, Waves Gold contains all the essentials you need to take your mixes to the next level.